As mentioned on my previous blog post, we all need 3 insurance to give us complete protection: LIFE, MEDICAL and ACCIDENT policies. Do check out my previous post about it. Why do we need accident insurance if we have medical and life coverage already? Perhaps, this is a policy with less important to us or with least priority unless we see the value of it. MEDICAL POLICY gives us protection to medical and hospital expenses. They can take care of the bills up to certain amount of coverage, depending on the cap limit. However, to be able to claim on this policy, most require to be at least admitted in the hospital for minimum 1 day. Outpatient services are not eligible for claim. Does most accident requires inpatient treatment? Some examples are fracture, sprain, slight injury, cuts, and event insect bites. Yes, insect bites are considered accident in Singapore policies. This includes ZIKA and DENGUE cases. LIFE POLICY gives us protection against DEATH, CRITICAL ILLNESS and TOTAL & PERMANENT DISABILITY (TPD). Some accident can result to death and disability. Even if you don’t have accident plan, you might be able to claim with your life insurance if it falls on these 2 scenario. If death due to accident, that’s automatic claim on your policy. If suffered TPD, that’s another claim on the policy. However, let’s take a look what TPD means. There are several instances where TPD scenario has to be met before the claim can be applied. One scenario is wherein in the event of accident, 2 of your body parts were lost. For example, in a vehicular accident that results to loss of both legs or both arms or both eyes or a combination of 2, it will be considered as TPD. The problem is, if the accident results to loss of only 1 of those body parts mention, it is not categorize as TPD. Thus, no claim can be made from your policy. Remember, TPD is total and permanent. Losing 1 body parts is not a total disability as you can still function with the other part. Having this shortfall on your medical and life policy, comes the accident policy. Accident policy is the cheapest insurance cover you can get. For the least plan, you can get around $15 monthly with up to $100,000 coverage in the event of accidental death. Coverage is worldwide as well. It also comes with a medical and hospital reimbursement. Depending on the plan, it could be capped to $2000 per accident on this amount. As I have mentioned earlier, most of the accident cases don’t need inpatient treatment. Few months ago one of my client got dengue here in Singapore. Hospital didn’t admit him and was treated outpatient only, due to lack of rooms in public hospital. Yes, Singapore have shortages in public hospital rooms. For this case, a client can file a medical reimbursement claim regardless if it is inpatient or outpatient treatment. For example, in the event of an accident where the client loses 1 eye. Of course inpatient treatment is needed, so your medical plan will be useful. Though accident plan have medical coverage, it may not be enough for such treatment. However, after the treatment and you got discharge in a hospital, your medical policy will cease to give you protection. Remember, you already lost 1 eye due to the accident. This is where accident plan comes in place. You cannot claim on your life insurance for TPD as there is only 1 part damage, 1 eye. The good thing with accident plan is that it’s giving lump sum amount base on the severity of the loss of body parts incurred on the accident. For example, if an accident results to loss of 1 eye only, you can get a lump sum amount of your total accident death coverage. If your coverage is $100,0000, then you can get that amount. You are still alive, just less 1 eye. All body parts are covered in the event of accident. However, the amount we can claim varies depending on the severity. For example if one finger is lost due to accident, around 2% of the sum assured can be claim. 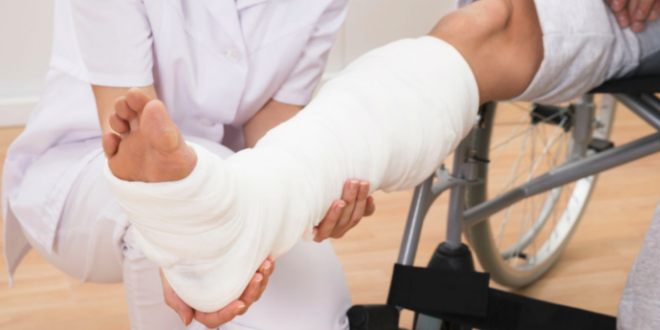 If fracture on the legs, around 10% of the sum assured can be claimed. And so on. It’s usually listed on the policy contract. Different insurance companies may give different percentages on each parts lost on accident. We are prone to accident everyday, wherever we are and what ever we are doing. It’s called accident for reason, most of the times we cannot control when it happen. Do you think you need such protection coverage? Do you think around $15 per monthly premium is a waste of money? Do you think you are so lucky that you will not be involved in any accident in the future? If you think you need it, go get one 🙂 You can reach me on my contact posted here. Previous: Do You Need Loss of Income Protection?